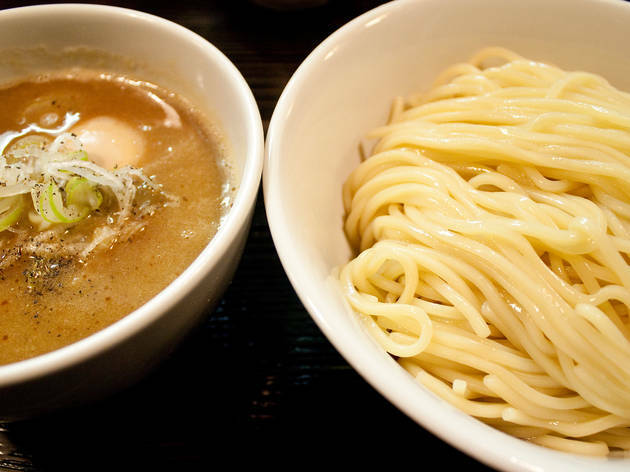 Ramen or tsukemen? The battle between noodle clans rages on in Tokyo, and many of those pledging allegiance to the dipping variety consider Meguro's Warito their greatest ally in the fight. Adhering to the orthodox ways of tsukemen, pioneered by Ikebukuro's Taishoken, these guys prepare their pork-and-seafood 'double soup' for so long that it's only served at lunchtime. 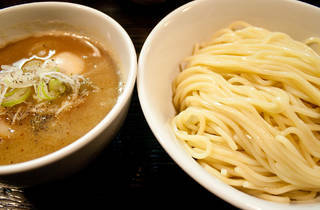 Portions are hearty, and you can ask for more of the springy noodles at no extra cost – great for big eaters. Because the noodles are kept cold to retain their superb texture, they cool the soup as you eat; ask for a yaki-ishi (hot stone) when you feel the need to add heat.